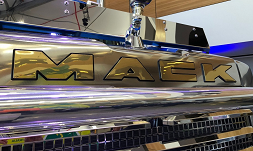 Luna Nameplate Industries manufactures Australia’s best range of automotive 3D chrome emblem technologies, industrial nameplates, self adhesive, domed (lensed) badges and metal labels, decals, graphic panels and membrane switches. We will work with you to find the best branding solution for your business, contact us to find out more. 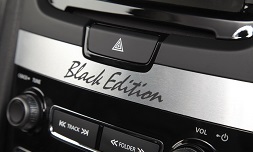 Game changing technology that gives your product the luxury of a 3D chrome badge. Plus unbelievable speed and economy. VIG is the ideal 3D chrome badge for applying onto contours & multiple locations or hot melting onto fabrics. 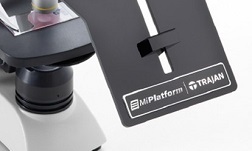 Lenscal (doming) turns a label into a premium badge with a crystal clear, gloss 3D lens effect. It won’t crack, craze or discolour. Create a work of art with options such as etching, dyeing, printing, embossing, brushing, forming & Lenscal. Compliance, safety or regulatory. 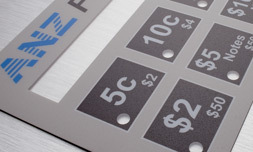 Choice of gauge & finish – etched, anodised, dyed, printed, serialised, hole punched or self adhesive. 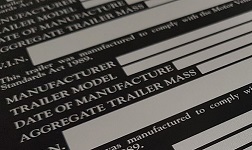 Every vinyl, mylar, polycarbonate & polyester label you need from promotional to long life automotive and UL Approved standard. 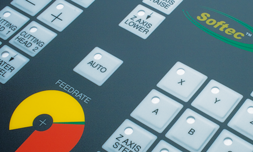 Reverse printed control panel overlay fascias for actuating mechanical switches & buttons. Full function non-mechanical switch control panel. Adhesive backed for easy application.